Alwyn Ruddock (1916-2005) was a leading English scholar of 15th century exploration. In the early 1960s, she found hitherto unknown documents relating to John Cabot (Zuan Caboto) in Italian archives, and decided to dig deeper. Ruddock spent the next four decades researching. Rumours spread that she had made significant finds, but she forever delayed publishing. There was always a new piece of evidence that needed studying, or a difficult translation she could not get quite right. Ruddock refused to reveal her sources even to her closest colleagues, and her book was unfinished when she died on 21 December, 2005. Her will stipulated that all her research be destroyed. Seventy eight bags of notes, correspondence, photographs, microfilm, and book drafts were shredded and burned. But Ruddock's trail did not entirely disappear. Evan Jones, an historian at the University of Bristol, knew that she had entered into a book deal with the University of Exeter Press in 1992. He approached the publisher, which had a small file on Ruddock, containing a seven-page book proposal and some supplementary notes. Ruddock did not identify her sources, but she did outline her findings, which were ground-breaking. But were they authentic? Jones and his colleagues began to investigate, using the few clues Ruddock had left behind. Since 2006, they have located evidence that supports some of her claims. Others remain to be studied. After decades of relative inactivity, Cabot is again at the forefront of scholarly research. Alwyn Ruddock was born on the Isle of Wight in 1916. 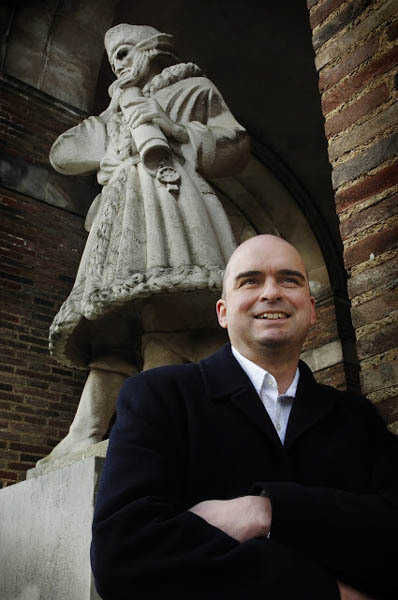 While studying at Southampton University College (now Southampton University), she came into contact with David B. Quinn, an expert on late medieval Europe and the English voyages of discovery. They became research partners and edited the Port Books or Local Customs Accounts of Southampton for the Reign of Edward IV, published in 1937 and 1938. Ruddock earned her PhD in 1940. She taught in Southampton's History Department until 1946, when she moved to Birkbeck College at the University of London where she became Reader in History in 1951. The same year, she published Italian Merchants and Shipping in Southampton, a book that established her reputation as a as a first-rate economic historian of late-medieval England. At 35, Ruddock had proven herself a discerning researcher, able to set out sophisticated ideas in book-length prose. Her interest in the mercantile networks connecting England and Italy eventually led her to John Cabot. Ruddock had extensive knowledge of Italian archives, including private collections maintained by old mercantile families. Around 1963 or 1964, she chanced upon evidence that Italian investors had helped to finance Cabot's 1497 voyage. It was not a purely English enterprise as previously believed. Ruddock immediately recognized the significance of her find. Cabot was an important historical figure, yet his story was largely unknown. Only 25 documents relating to his career were known to exist, and there were many unanswered questions. Who bankrolled his voyages? Where was his 1497 landfall? Who went with him to the New World? What happened in 1498? Did he die overseas or did he return to Europe? New evidence would greatly add to this thin body of knowledge. "I have spent most of my Easter vacations and Septembers in the last ten years digging in various archives and libraries up and down Italy and I am sure you will understand when I say I want them to appear as new evidence first in my Cabot book rather than in translation only in another American collection. This would have been in the press before now, if I had not been held up yet again last September in Italy in finishing my last checks. I know you must be irritated, like many other people, by my slowness in finishing this volume, but I have had no sabbatical years, as you have had, and no money for research assistants or foreign travel and work aboard. All my work in Italy and elsewhere has had to be done at my own expense in the vacations each year so it is no wonder I have taken so long over the subject." Ruddock continued her research and alluded to ground-breaking discoveries in her letters to Quinn. "I turn the story of the early Bristol voyages upside down," she wrote in 1992. Quinn believed Ruddock's claims because he was familiar with the quality of her work, but he worried that she would never publish anything. "I do hope to l[i]ve to see one or both of the volumes before I die," he wrote on 4 April, 1992. "The danger is that you might die also without publishing." Six months later, Ruddock signed a contract with the University of Exeter Press. But nothing was published before Quinn's death on 19 March, 2002, or before hers on 21 December, 2005. Ruddock did not ask for her research to be deposited at an archive or with a colleague. Her will instructed executors to "burn shred or otherwise destroy all my letters and photographs both personal and professional microfilms unfinished writings and other research and notes in my possession at the time of my death if this has not already been done prior to my death." Her orders were carried out. Evan Jones, an historian of Bristol's discovery voyages, was shocked when he read in Ruddock's obituary that her research had been destroyed. He contacted the University of Exeter Press to see if anything could be salvaged. There were no book drafts on file, but the publisher did have Ruddock's seven-page synopsis and some of her supplementary notes. She made remarkable claims. Cabot had Italian investors, Ruddock wrote, and the support of an influential Italian cleric who put him in touch with Henry VII. She claimed to have found new information on the Matthew and the 1497 voyage. She also uncovered a previously unknown English explorer named William Weston who led an expedition to the New World in 1499. But her most extraordinary revelations involved Cabot's 1498 voyage. According to Ruddock, Cabot reached the New World with a group of Italian friars. 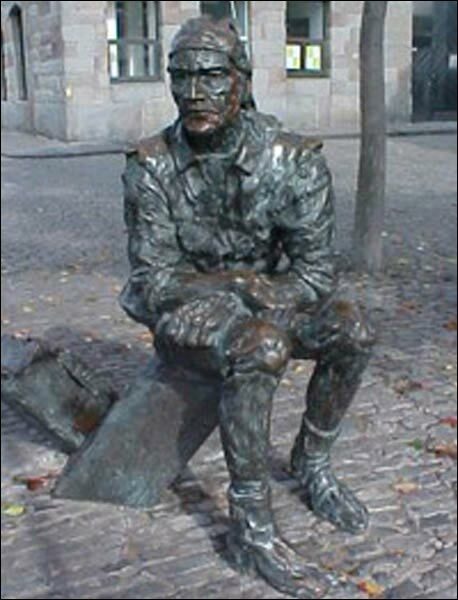 He spent two years sailing along the coast, going as far as South America, while the friars established a church and religious community at Newfoundland, possibly at Carbonear. If true, Cabot was the first European to see what is today the United States, and the friars' community was the earliest European Christian settlement in North America. She also claimed that Cabot returned to England in the spring of 1500 and died four months later. Jones recognized the potential importance of Ruddock's assertions, but also knew that they had no value unless they could be substantiated. Perhaps Ruddock was not interpreting her documents correctly, or worse, making things up. Ruddock claimed to have uncovered 21 new records relating to Cabot – which would almost double the existing stock of evidence – but she did not reveal their locations, perhaps out of fear that someone else would use her research without giving her credit and before she published anything. Jones hoped that the book proposal would provide him and other researchers with clues to the documents' whereabouts. He published Ruddock's outline in the scholarly journal Historical Research (Jones 2008), along with his own analysis of her claims – which ones were new, why they seemed plausible, and how historians might relocate her research. The article was made freely available online in 2007 and a printed version followed in 2008. Interest grew, and other researchers joined what became known as the Cabot Project. Among the first was Jeff Reed, a retired American scholar based in Washington, D.C. He volunteered to investigate the 165 boxes of letters that Quinn had left to the Library of Congress upon his death. Reed discovered a large number of letters that related to Ruddock and provided valuable insight into her work. The letters also put Jones in touch with Margaret Condon, an archivist who had corresponded with Quinn about two previously unknown Cabot documents she had found in the late-1970s – Quinn had decided to delay publishing them until Ruddock came out with her book. Other researchers also joined the project, including the economic historian Francesco Guidi-Bruscoli, who later located some of Cabot's Italian financiers, and the archaeologist Peter Pope, who has been surveying the Carbonear area for the remains of European settlement but has not uncovered any evidence of colonization before the 17th century. 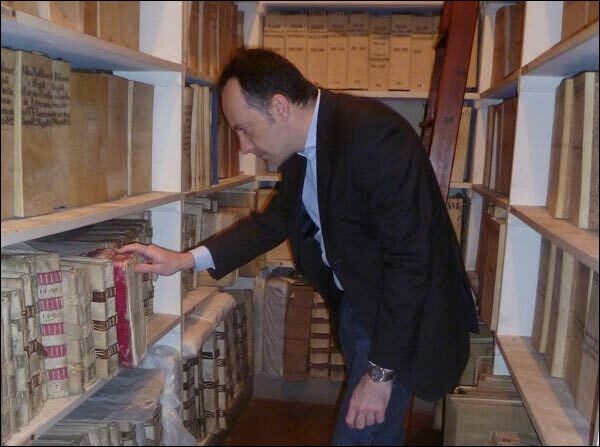 Dr. Francesco Guidi-Bruscoli in the Guicciardini Archive, where he found a ledger linking John Cabot to Italian Financiers. As of 2013, some of Ruddock's claims have been substantiated, but much work remains to be done. Proof has been found that Italian investors backed Cabot's voyages, and that William Weston led an expedition to the New World in 1499. New evidence also suggests that Cabot did return to England in 1500. These findings are valuable because they shed more light on an important chapter in our history and they confirm that Ruddock's other claims are also worth looking into – perhaps more of the documents to which she alluded will soon be uncovered and add to our evolving understanding of Cabot and the age of discovery. For other Cabot related articles view the Early Exploration section of the Exploration and Settlement Table of Contents.